Historic Hilltop Towns & Major Cities – As close at 20 minutes by car! Umbria is made for day trips! Some of the most amazing destinations are just a twenty-minute hop from each other and make for easy traveling. At your fingertips are Roman ruins, historic hill top towns, picturesque winding streets, great local shopping, vineyards, artisanal ceramics, medieval borgos, basilicas, cathedrals and so much more! Each destination offers its own unique charm. We can create an itinerary (with or without guides) that includes everything from the most popular destinations to those relatively untouched by tourism to experience the true Italy and its historic traditions. Our guides share their intimate knowledge and expertise in Umbria with our guests. Whether you choose wine tasting, nature walks, linen and pottery shopping or excursions that venture off the beaten path, our local guides open doors to experiences in Umbria and Italy like never before. Whatever your desire, we can make it happen and we’ll guide you to make the most memorable choices for your dream trip to Italy. Bevagna, Gubbio, Perugia, Spello, Spoleto, Montefalco and many more. In Umbria there is so much to experience and explore! There is so much to do in Umbria! 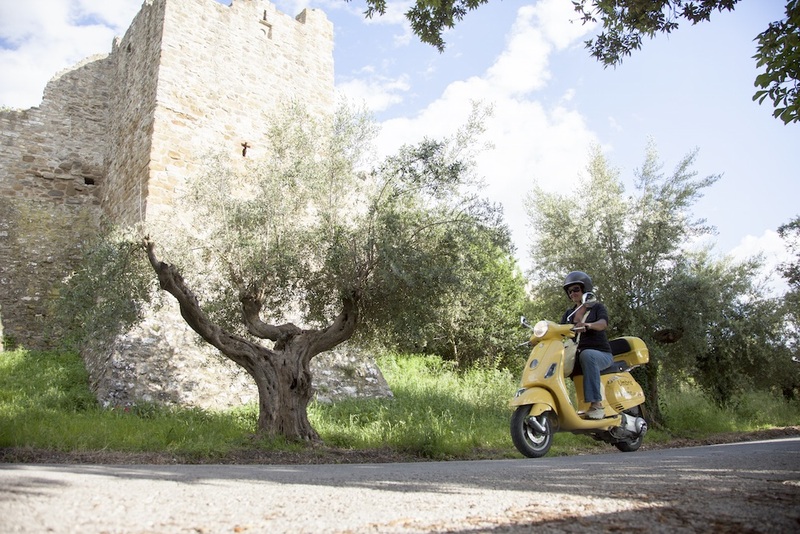 From guided nature walks between historic hilltop towns and Vespa tours around Lago di Trasimeno to cooking classes, truffle hunting with a local, hot air ballooning, and premiere wine estate tours – the opportunities are endless. Our personal relationships with local owners make them open their doors to you when we make the call. You’ll be treated like family and love every minute. Just about you can dream up we can make happen for you. Contact us and we’ll talk about planning the perfect balance of memorable activities in Umbria with just the right amount of downtime to truly relax.